Patitiri in Alonissos. Accommodation. Restaurants. Beach. 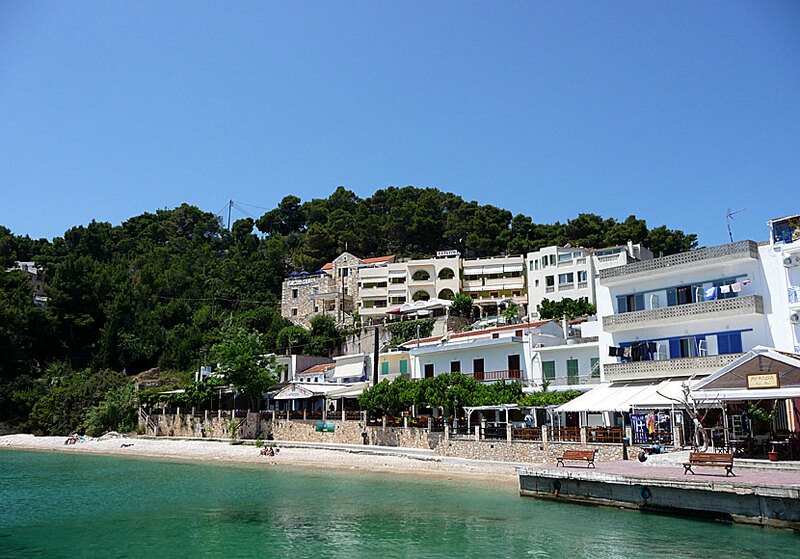 Alonissos' port Patitiri (1,630 inhabitants) is a relatively newborn village and do not have the same old charm that many other villages have. And there is an explanation: After the earthquake in 1965, many of the inhabitants of Chora had to live in tents for a long time, they lived on alms from the corrupt government. When the junta seized power in 1967, they took care of the problem and built new houses in a rapid pace in Patitiri which quickly grew from a small port to a small town. And the inhabitants of Chora moved there. The new houses were of an entirely different quality (inferior) and not nearly as beautiful as the houses in Chora. But the villagers had no choice, many cried when the loaded donkeys went down to Patitiri, many were ashamed to live in the ugly, but completely new, houses. When I first saw Patitiri I was a little disappointed. 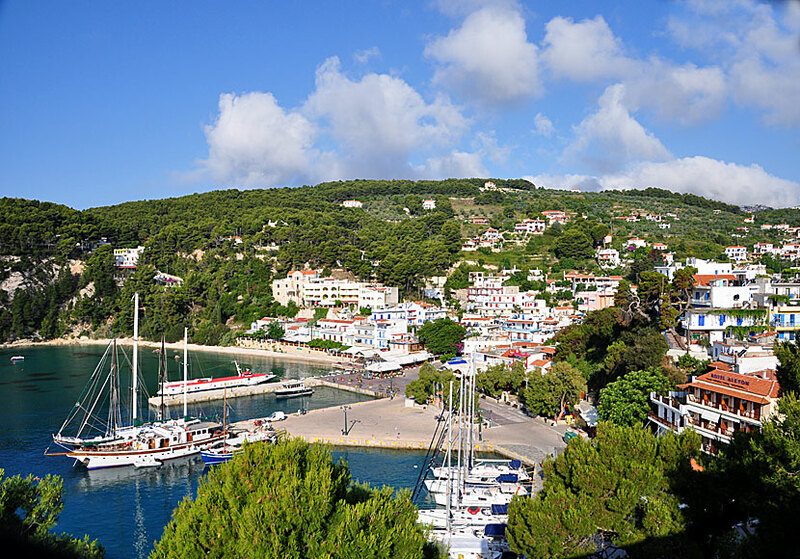 We came by ferry from Skiathos, on the way we passed Skopelos town that looked incredibly beautiful. The approach to the port at Patitiri were therefore a disappointment. The port was out of proportion, the houses were anything but beautiful, they looked worn out and they looked like taken from a backdrop of the sixties. Patitiri seen from the pirate museum. What is this, I thought. We placed our luggage in the port and went searching for a place to stay on the hill to the right of the port. We found a pension almost immediately, and promptly we fetched our packing and moved into Pension Ninna. We sat down on the balcony and observed Patitiri from above and said in chorus: Wow, how beautiful it is! Our first impression of despair soon turned into - maybe not love - but a "like-very-much". One of the streets in Patitiri. The quality of the tavernas varies, some have barkers, but they are not so annoying. One of my favourite tavernas is Restaurant Ostria that serves very good food. 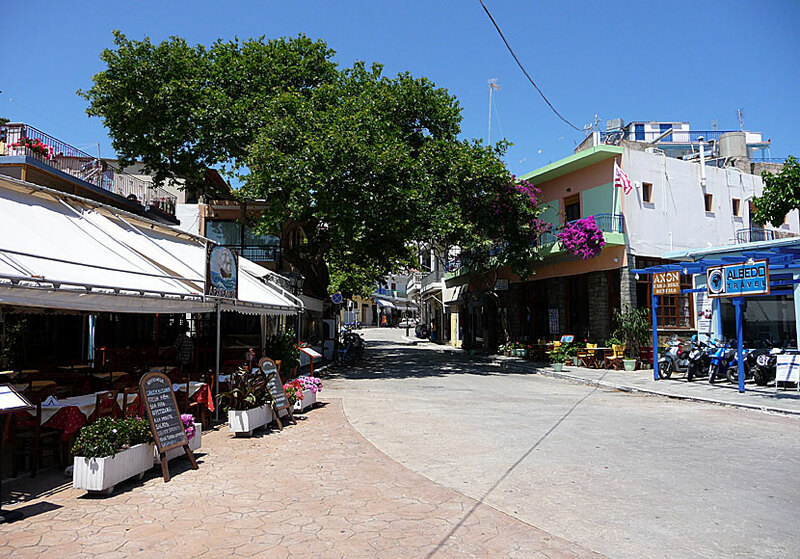 Another good taverna is Akrogialo located above the beach. They serves rustic Greek food at good prices. Above the beach there are a couple of nice bars and a gyros places. If you like fish, you can go to Taverna Arkepelagos next to Ostria. 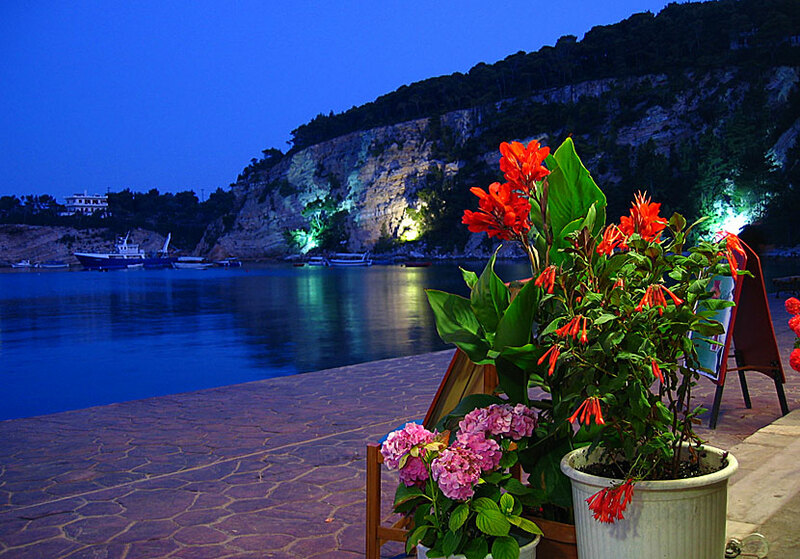 In the evening, the harbor promenade is illuminated. At the far end of the seafront is an mediocre pebbly beach. Above the beach is a privately owned pirate museum (the only one in Greece, according to the owners), which is well worth a visit. The museum displays lots of things from the time when pirates ravaged the Greek waters. Parts of the museum is about the history of Alonissos. Of the many interesting objects there are a few that stand out a little extra, including shoes made of skin from a monk seal. There must have been plenty of monk seals before. The production of wine also have an important place in the museum. 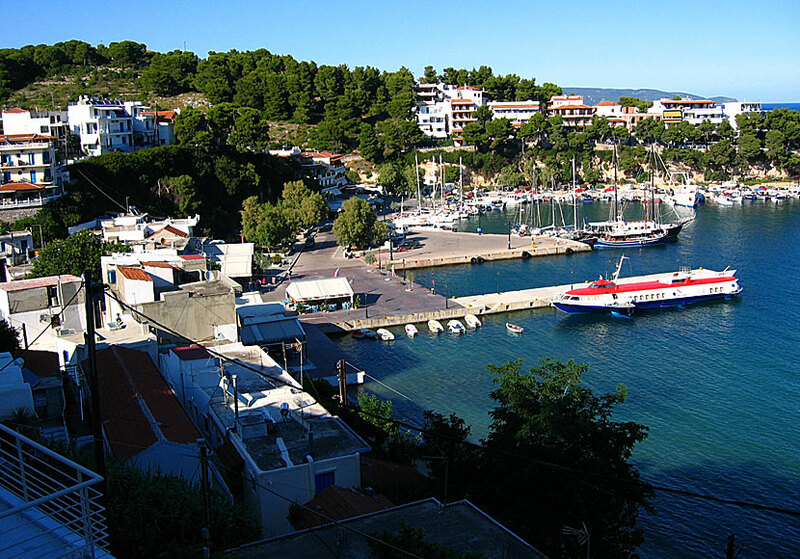 Alonissos was previously a major producer of wine but a bacteria destroyed all the grapevines in the early fifties. Incidentally, Patitiri means winepress in Greek. The Pirate Museum is open every day between 11:00 and 19:00. Entrance costs about 4 €. There is a wide range of accommodation in Patitiri and in the neighbouring village of Roussoum, within walking distance from Patitiri. We always stay at Pension Ninna on a hill above the port. The view over the bay is magnificent. On the same hill there are other hotels and pensions, most of them are good, and have the same great views.